Russian archaeologist Leo Klejn has published an article Discussion: Are the Origins of Indo-European Languages Explained by the Migration of the Yamnaya Culture to the West?, which includes the criticism received from Wolfgang Haak, Iosif Lazaridis, Nick Patterson, and David Reich (mainly on the genetic aspect), and from Kristian Kristiansen, Karl-Göran Sjögren, Morten Allentoft, Martin Sikora, and Eske Willerslev (mainly on the archaeological aspect). Klejn mischaracterizes our paper as claiming that practitioners of the Corded Ware culture spoke a language ancestral to all European Indo-European languages, including Greek and Celtic. This is incorrect: we never claim that the ancestor of Greek is the language spoken by people of the Corded Ware culture. 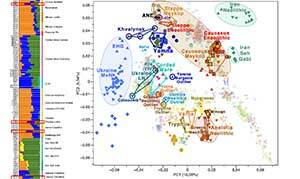 In fact, we explicitly state that the expansion of steppe ancestry might account for only a subset of Indo-European languages in Europe. Klejn asserts that ‘a source in the north’ is a better candidate for the new ancestry manifested in the Corded Ware than the Yamnaya. 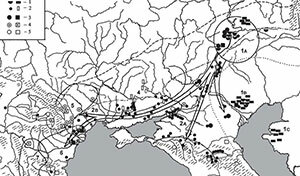 While it is indeed the case that the present-day people with the greatest affinity to the Corded Ware are distributed in north-eastern Europe, a major part of the new ancestry of the Corded Ware derives from a population most closely related to Armenians (Haak et al., 2015) and hunter-gatherers from the Caucasus (Jones et al., 2015). This ancestry has not been detected in any European huntergatherers analysed to date (Lazaridis et al., 2014; Skoglund et al., 2014; Haak et al., 2015; Fu et al., 2016), but made up some fifty per cent of the ancestry of the Yamnaya. The fact that the Corded Ware traced some of its ancestry to the southern Caucasus makes a source in the north less parsimonious. In our study, we did not speculate about the date of Proto-Indo-European and the locations of its speakers, as these questions are unresolved by our data, although we do think the genetic data impose constraints on what occurred. We are enthusiastic about the potential of genetics to contribute to a resolution of this longstanding issue, but this is likely to require DNA from multiple, as yet unsampled, ancient populations. 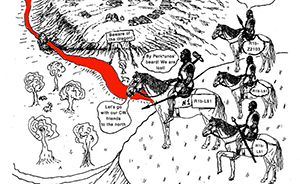 Allegedly, I had accused the authors of tracing all Indo-European languages back to Yamnaya, whereas they did not trace all of them but only a portion! 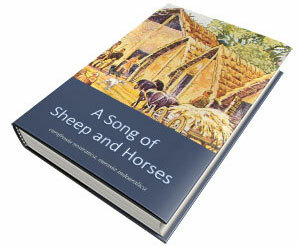 Well, I shall not reproach the authors for their ambiguous language: it remains the case that (beginning with the title of the first article) their qualifications are lost and their readers have understood them as presenting the solution to the whole question of the origins of Indo-European languages. (…) they had in view not the Proto-Indo-European before the separation of the Hittites, but the language that was left after the separation. Yet, this was still the language ancestral to all the remaining Indo-European languages, and the followers of Sturtevan and Kluckhorst call only this language Proto-Indo-European (while they call the initial one Indo-Hittite). The majority of linguists (specialists in Indo-European languages) is now inclined to this view. True, the breakup of this younger language is several hundred years more recent (nearly a thousand years later according to some glottochronologies) than the separation of Anatolian languages, but it is still around a thousand years earlier than the birth of cultures derived from Yamnaya. More than that, I analysed in my criticism both possibilities — the case for all Indo-European languages spreading from Yamnaya and the case for only some of them spreading from Yamnaya. In the latter case, it is argued that only the languages of the steppes, the Aryan (Indo- Iranian) are descended from Yamnaya, not the languages of northern Europe. Together with many scholars, I am in agreement with the last possibility. 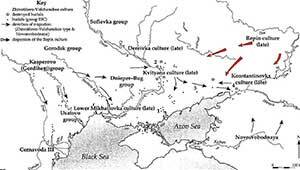 But, then, what sense can the proposed migration of the Yamnaya culture to the Baltic region have? It would bring the Indo-Iranian proto-language to that region! Yet, there are no traces of this language on the coasts of the Baltic! My main concern is that, to my mind, one should not directly apply conclusions from genetics to events in the development of language because there is no direct and inevitable dependence between events in the life of languages, culture, and physical structure (both anthropological and genetic). They can coincide, but often they all follow divergent paths. In each case the supposed coincidence should be proved separately. The authors’ third objection concerns the increase of the genetic similarity of European population with that of the Yamnaya culture. 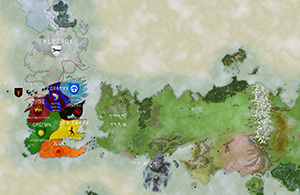 This increases in the north of Europe and is weak in the south, in the places adjacent to the Yamnaya area, i.e. in Hungary. This gradient is clearly expressed in the modern population, but was present already in the Bronze Age, and hence cannot be explained by shifts that occurred in the Early Iron Age and in medieval times. 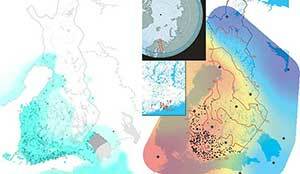 However, the supposed migration of the Yamnaya culture to the west and north should imply a gradient in just the opposite direction! 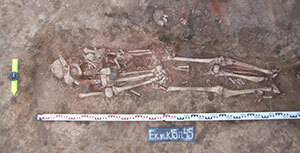 [They argue that] in two early burials of the Corded Ware culture (one in Germany, the other in Poland) some single attributes of Yamnaya origin have been found. (…) if this is the full extent of Yamnaya infiltration into central Europe—two burials (one for each country) from several thousands (and from several hundreds of early burials)—then it hardly amounts to large-scale migration. Quite recently we have witnessed the success of a group of geneticists from Stanford University and elsewhere (Poznik et al., 2016). 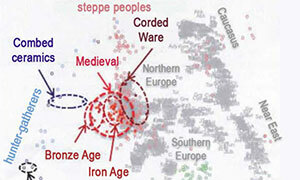 They succeeded in revealing varieties of Y-chromosome connected with demographic expansions in the Bronze Age. Such expansion can give rise to migration. 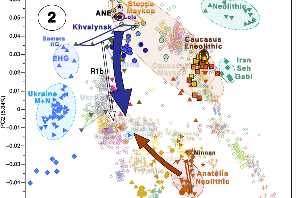 Among the variants connected with this expansion is R1b, and this haplogroup is typical for the Yamnaya culture. But what bad luck! 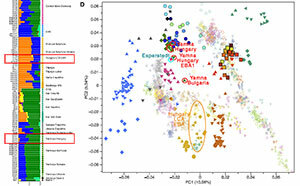 This haplogroup connected with expansion is indicated by the clade L11, while the Yamnaya burials are associated with a different clade, Z2103, that is not marked by expansion. It is now time to think about how else the remarkable results reached by both teams of experienced and bright geneticists may be interpreted. Y-chromosome haplogroups of this population were somewhat similar to those of the Yamnaya, while mitochondrial groups were indigenous. As yet, geneticists deal with great blocks of populations and prefer to match them to very large and generalized cultural blocks, while archaeology now analyses more concrete and smaller cultures, each of which had its own fate. As we mentioned in Haak, Lazaridis et al. (2015), the Yamnaya are the best proximate source for the new ancestry that first appears with the Corded Ware in central Europe, as it has the right mix of both ANE (related to Native Americans, MA1, and EHG), but also Armenian/Caucasus/Iran-like southern component of ancestry. The Yamnaya is a westward expansive culture that bears exactly the two new ancestral components (EHG + Caucasus/Iran/Armenian-like). We shall expect more and more ambiguous rewording and more adjustments of previous conclusions as new papers and new criticisms appear.